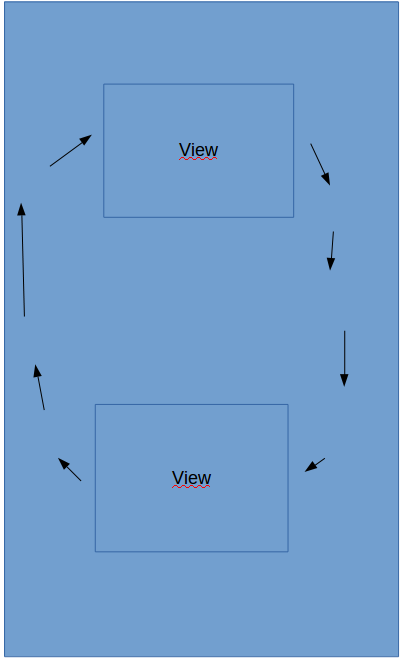 I want 2 views which transform like a circle with no rotation at the same time. The first view starts at the top and the second view at the bottom. I already asked how to do it with one view. I dont get it run with two views. To make multiple animations at the same time, just create multiple Animated.Value, or interpolate from it multiple times. The moving track is about calculate translateX and translateY with Trigonometric Function. translateX is corresponding to Math.sin(), and translateY is corresponding to Math.cos().